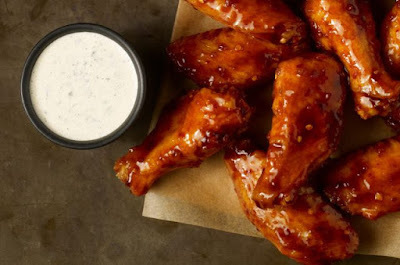 Spicy Korean Q returns to Wingstop for a limited time as a flavor/sauce option for the chain's chicken (wings, boneless wings, and tenders). The flavor consists of a sweet and spicy sauce featuring garlic, ginger, Sriracha, and crushed red pepper. Spicy Korean Q was first introduced back in fall of 2015 and has occasionally been brought back on a limited-time basis.